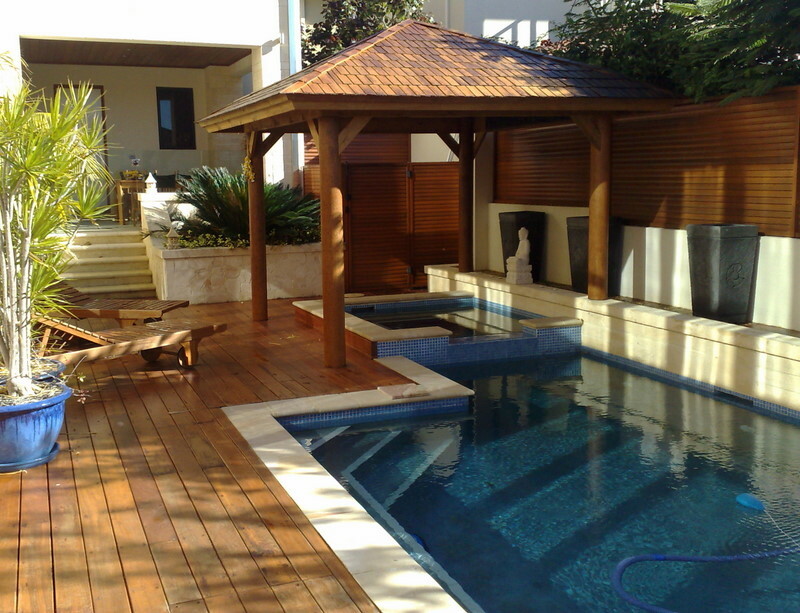 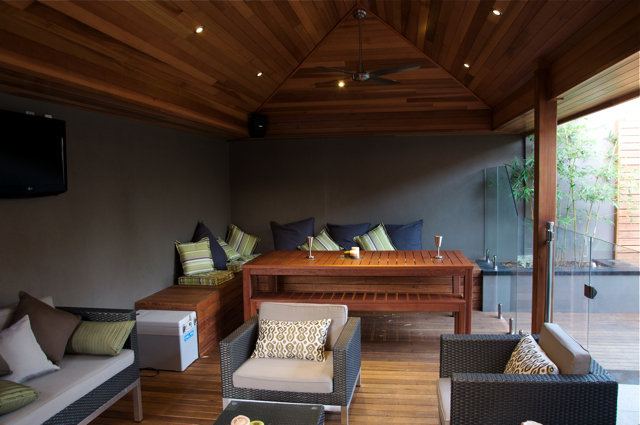 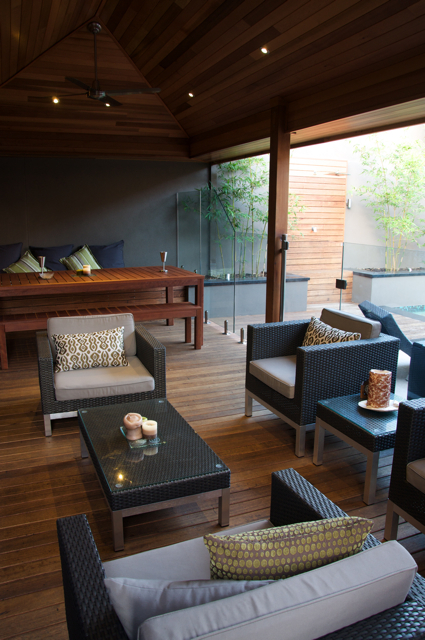 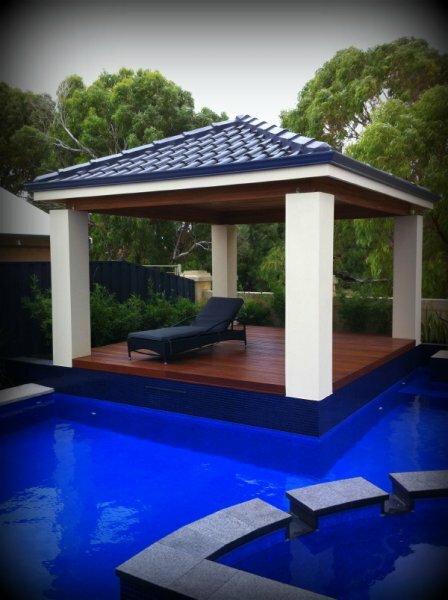 Austin Developments was contracted to build this modern style roof cabana structure which was designed by Living Environs Landscapes. 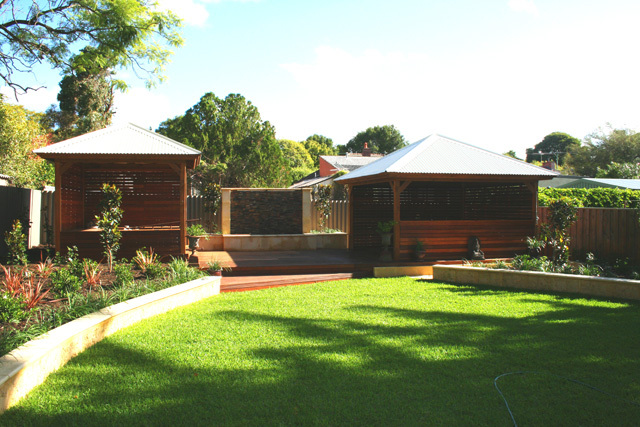 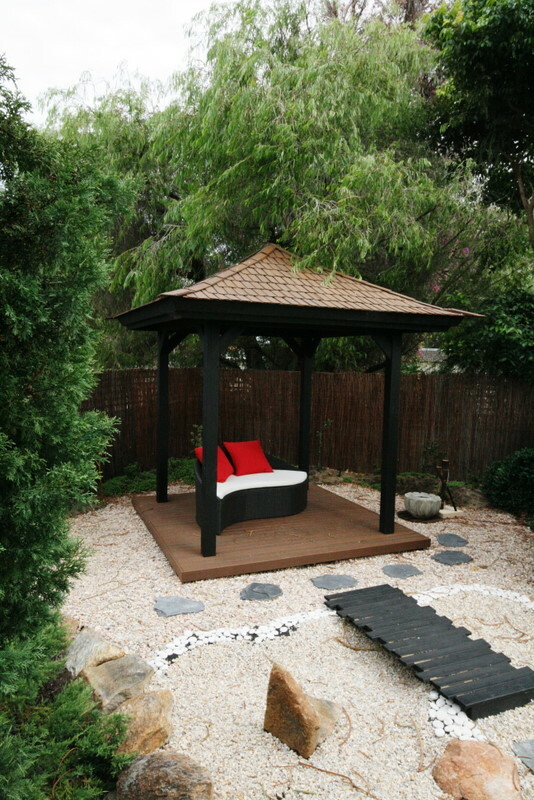 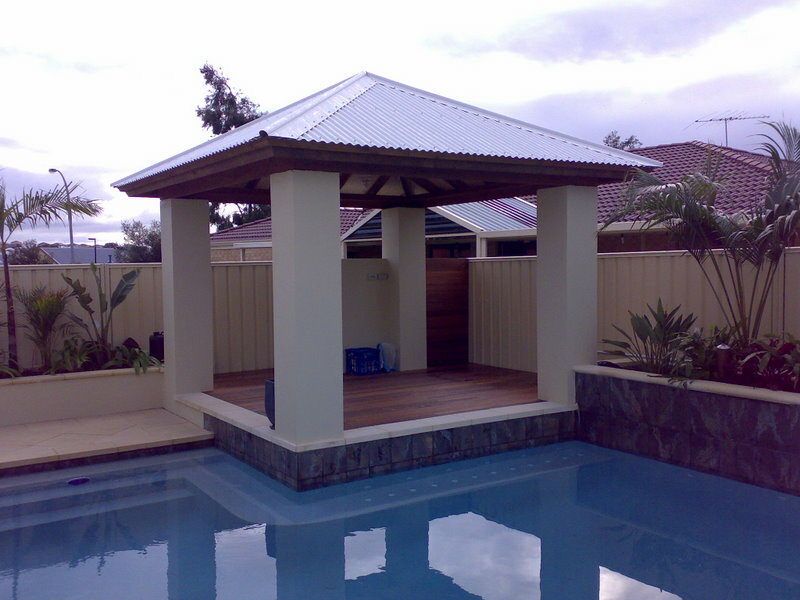 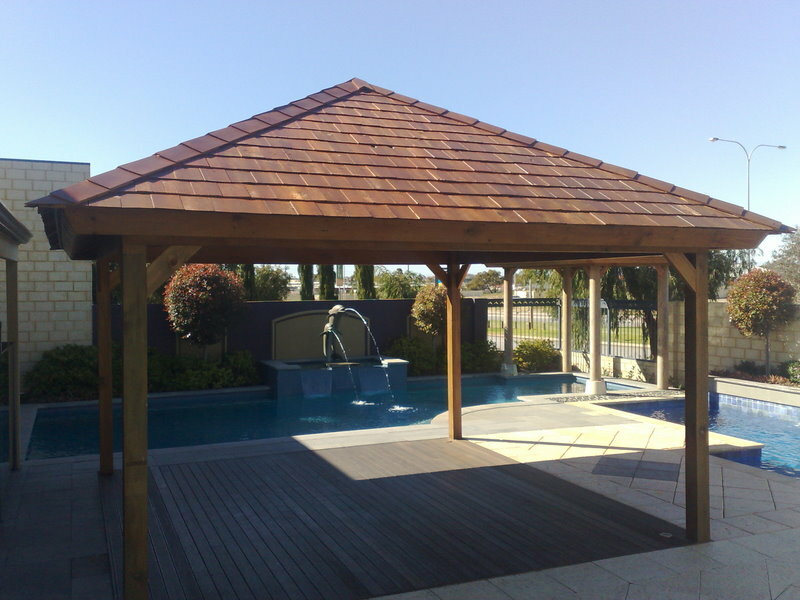 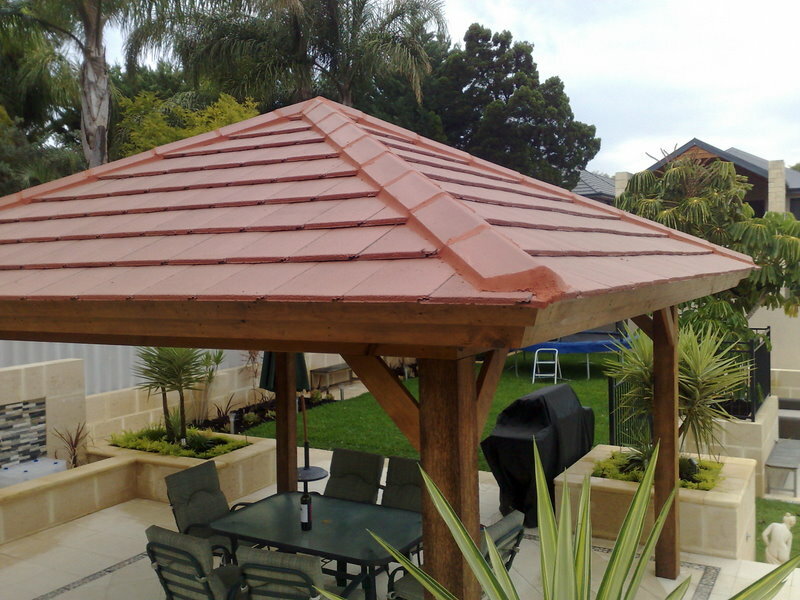 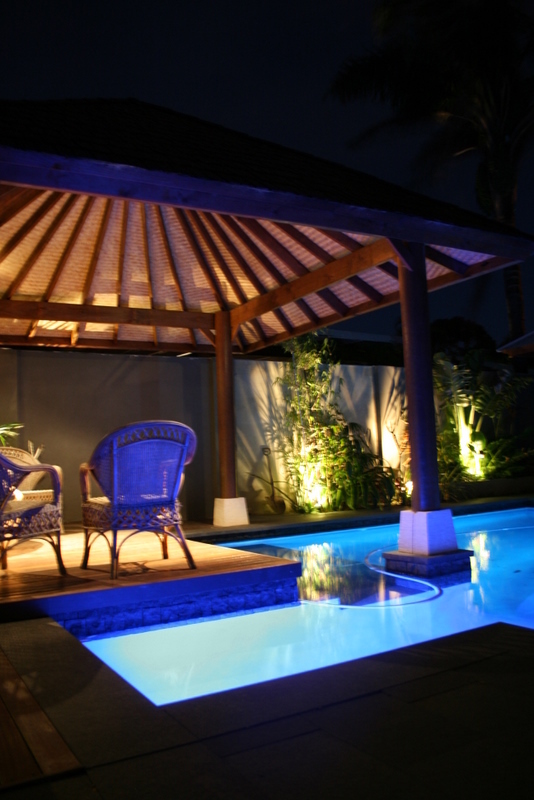 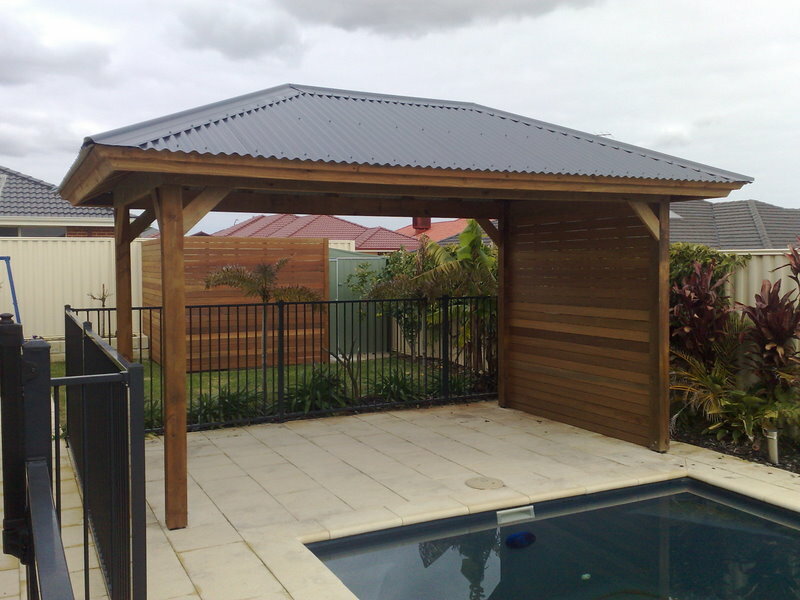 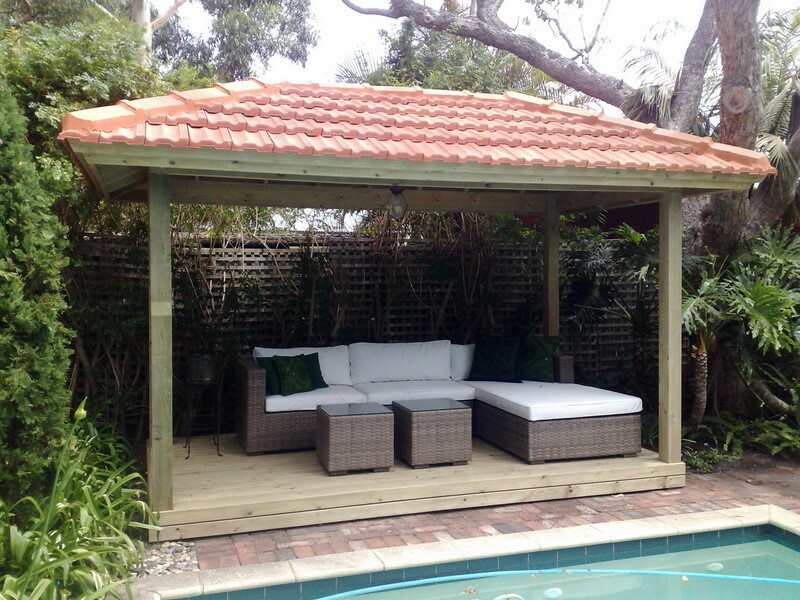 The popular style of gazebo has a Silver Ash screening rear wall with white timber lining and colorbond roof and barge flashings. 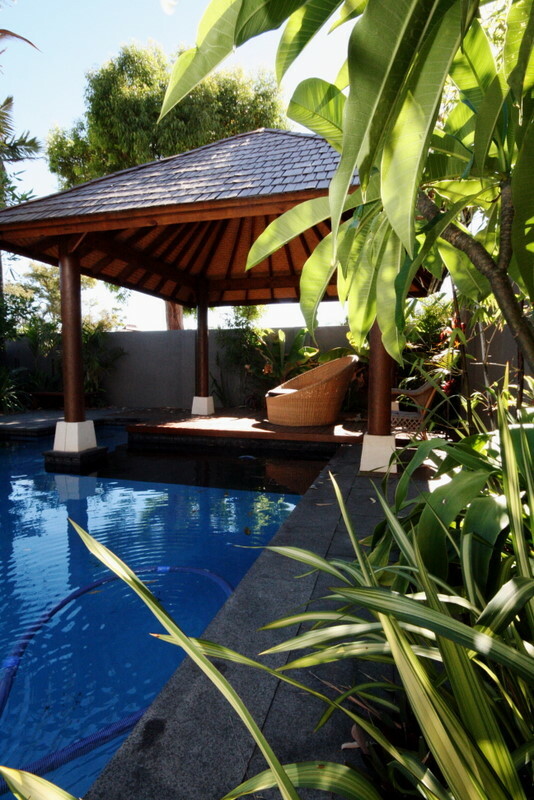 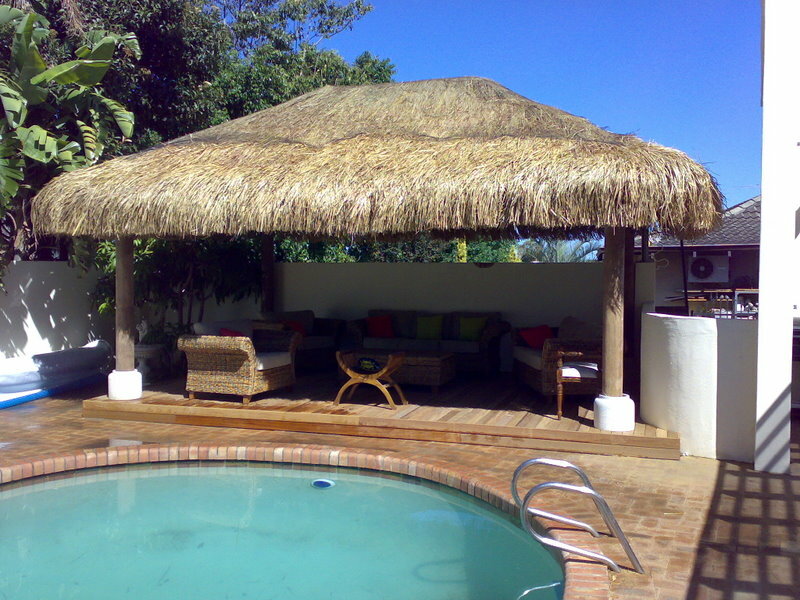 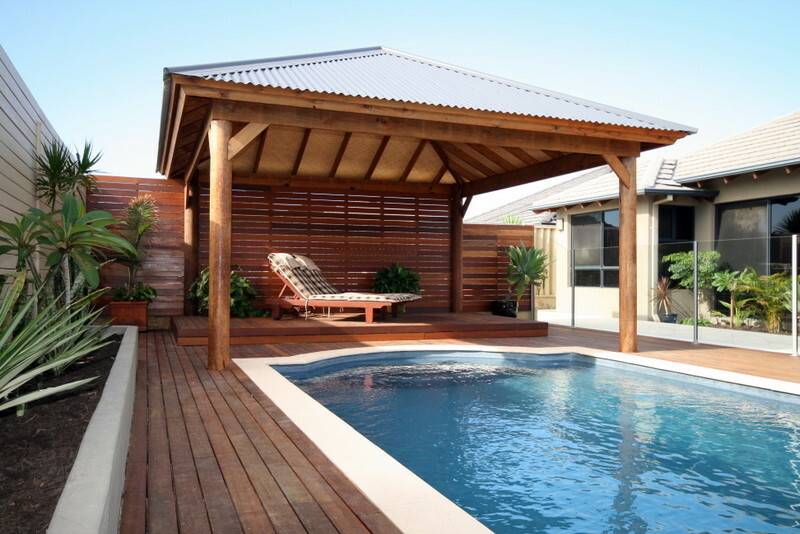 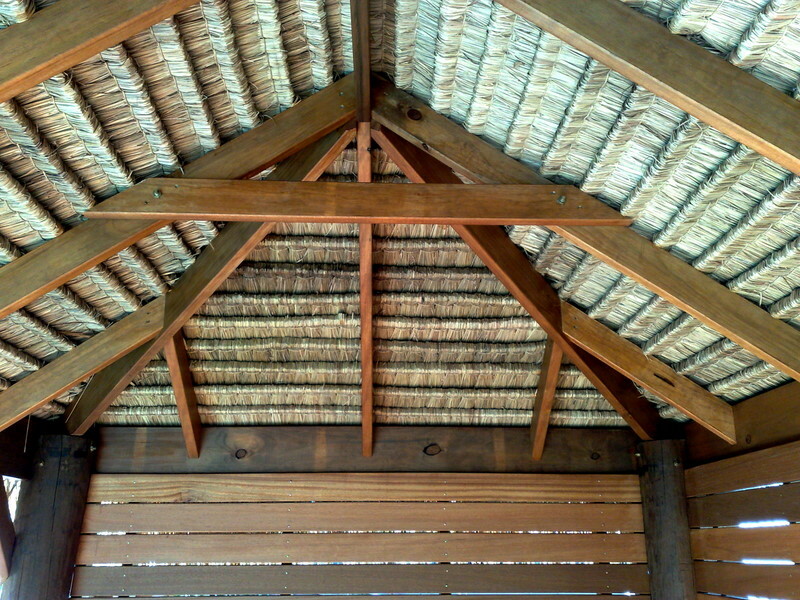 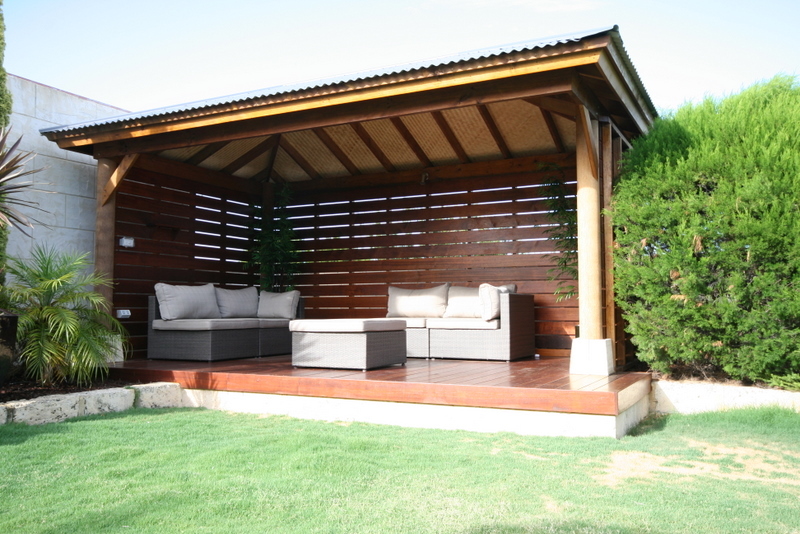 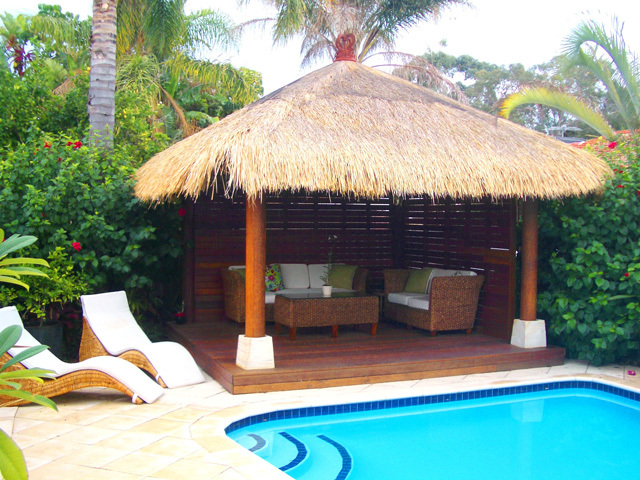 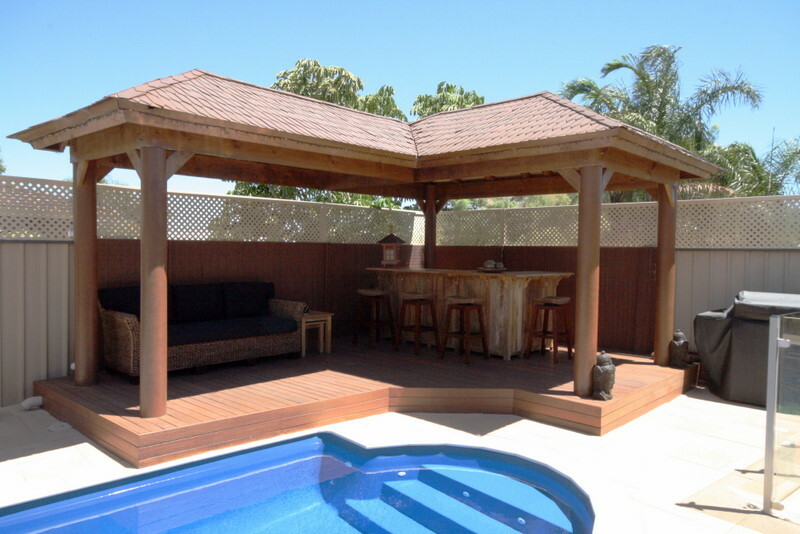 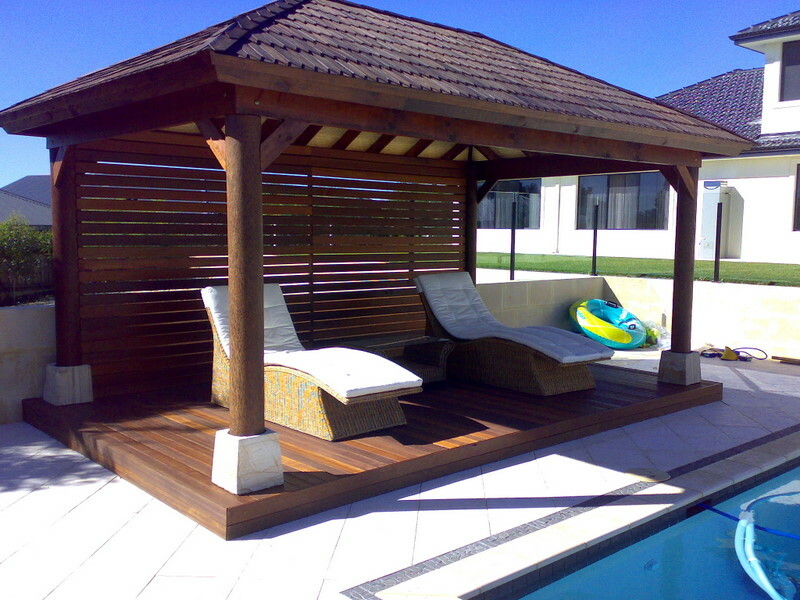 The Bus Stop style structure as we commonly nicknamed it, provides a great screening feature to the rear yard, shade for those sunny days lazing by the pool and a focal point for your outdoor entertaining.